Copyright: © 2015 Sharma TK. This is an open-access article distributed under the terms of the Creative Commons Attribution License, which permits unrestricted use, distribution, and reproduction in any medium, provided the original author and source are credited. Titanium dioxide (TiO2) (<100 nm) has been widely used in the production of paints, paper, and plastics, as well as in food additives and colorants .It has been classified as biologically inert in both humans and animals. Here we studied the toxicity of TiO2 on Wister rat. Main exposure area of NPs is caudal vein of Wistar rat. In the field of nanomedicine, intravenous injection can deliver TiO2 nanoparticulate carriers directly into the human body. Upon intravenous exposure, TiO2 NPs can induce pathological lesions of the liver, spleen, kidneys, and brain. We have also shown here that most of these effects may be due to the use of very high doses of TiO2 NPs. Ultrafine size and morphological properties of NPs was determined by TEM, SEM and X ray diffraction where the size of NPs were 5-20nm, found morphologically as aggregate form. Due to high dose of NPs increasement of body weight was reduced but the coefficient of liver, kidney and spleen were significantly increased but no change in brain. Reactive Oxygen Species (ROS) increase due to high doses which damaged DNA. Serum protein and catalase enzyme activity also increased with increasing NPs concentration but SOD reduced. 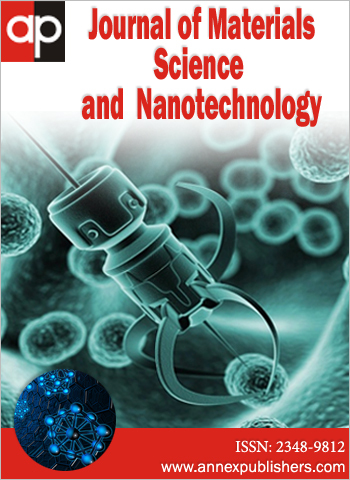 Nanotechnology involves the design, production, characterization and application of nanoparticles whose dimensions are less than 100nm. Toxicity of nanoparticle depends on particle size, particle composition, and specific cell type. Nanoparticles can be translocated to the sub epithelial space to a greater extent than larger particles . The interactions of particles with cell membranes results in the generation of reactive oxygen species (ROS) , and the generated oxidative stress may cause a breakdown of membrane lipids, an imbalance of intracellular calcium homeostasis, and DNA breakage . Ultrafine particles are known to have greater adverse health effects than larger particles  because of their extremely high surface areas and the ability to deposit in the alveoli. In October 2011 the European Union defined nonmaterial as a natural, incidental or manufactured material containing particles, in an unbound state or as an aggregate or agglomerate; where 50% or more of the particles exhibited, one or more external dimensions in the size range 1–100 nm . Others have defined NPs as objects with at least one of their three dimensions in the range of 1–100 nm [6,7]. NPs generally possess dramatically different physicochemical properties compared to fine particles (FPs) of the same composition. The smaller size of NPs ensures that a large portion of atoms will be on the particle surface. Traditionally, TiO2 NPs have been considered as poorly soluble, low toxicity particles [8,9]. Due to this reason, they have been traditionally used as a "negative control" in many in vitro and in vivo particle toxicological studies . Oberdorster et al. reported that TiO2 NPs (21 nm) caused a greater pulmonary inflammatory response than TiO2 at same mass burden, with greater amounts of TiO2 NPs entering the alveolar interstitium in the lungs . Sager et al. have reported similar results after intra-tracheal instillation of well-dispersed suspensions of TiO2 NPs (80/20 anatase/rutile; 21 nm, P-25) and TiO2 FPs (100% rutile; 1 μm) in rats. On an equal mass burden, nano TiO2 was 40 fold more potent in inducing lung inflammation and damage at 1 and 42 days post-exposure than fine TiO2 . However, respective potencies were not significantly different when dose was expressed on the basis of total surface area of particles delivered to the lung. Wide application of TiO2 NPs confers substantial potential for human exposure and environmental release, which inevitably allows for a potential health risk to humans, livestock. This paper will focus mainly on current knowledge concerning the toxicology of TiO2 NPs. Studies done with mixtures of TiO2 NPs and studies that have focused on wistar rat and the environment will not be discussed in this review. Even though the nanoparticle (NP) size has recently been defined as <100 nm, we have also included some studies that have defined particle sizes that are >100 nm as NPs. Hydroxypropyl methyl cellulose (HPMC), phosphate buffer saline (PBS), ethanol, phosphoric acid, sodium acetate, ferrous sulphate, epinephrine, hydrochloric acid sodium corbonate, H2O2 and Animal (purchased from national Institute of Nutrition (NIN) Hyderabad, India). TiO2 was purchased from Sigma Aldrich Pvt Ltd Kushaiguda, Kamla Nagar, besides Mc Donalds, Hyderabad, India. It was sonicated 35 KHZ for 20 minutes because particles got agglomerated. Ultra sonication disrupts agglomerated form of nanoparticles come under nanometer size. TiO2 nanoparticles (TNPs) were dissolved in 0.5% HPMC (Hydroxypropyl methyl cellulose) and ultrasonicated for 10 min to make a homogeneous suspension. Average particle size, morphology and size distribution of TNP were examined by a JEOL-JEM-2100F Transmission electron microscope (TEM) operating at 200 kV. The aqueous suspension was drop casted on a carbon coated copper grid, and the grid was air dried at room temperature (25 ºC) before loading into microscope. The TNPs were further characterized by X-ray diffraction (XRD). The XRD patterns (Bragg peaks) were recorded with a PANalytical X'pert PRO diffractometer using a solid state detector with a monochromatized Cu kα1 (λCu= 1.54060 Aº) radiation source at 45 kV. 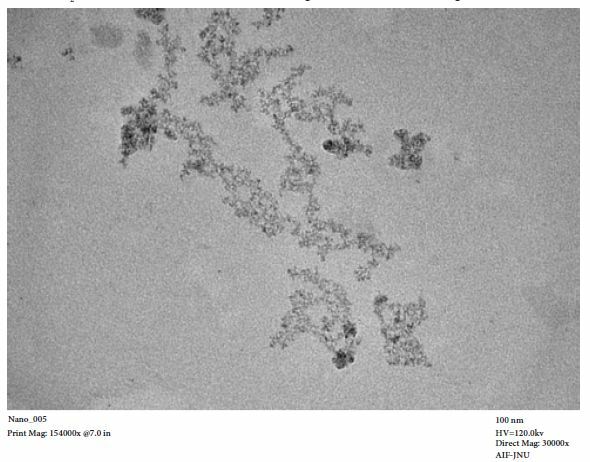 For morphological analysis it was homogeneously spreaded over the glass plate and air-dried in vacuum and SEM (Scanning Electron Microscopy) image were observed with ZEISS EVO40, SEM, at 10 Kv. Six weeks old (225-250gm) male Wistar rats were subjected for the in-vivo toxicity study of nano anatase TiO2. Animals were divided into three different groups, with six animals in each group. Each animal was injected intravenously (caudal vein) with different doses of NPs. Group I was given 5 mg/ kg body weight (BW) of animal , group II was injected with 50 mg/kg BW and Group III was injected with 0.5% HPMC, treated as control .TSNPs was injected at weekly interval for 30 days. Animals were anesthetized with 0.3ml/250mg ketamine/xylazine and 1 ml blood was taken by retro-orbital veins through heparin coated capillaries and blood was collected in tubes containing 20 mg/ml EDTA. At the end of the experiment all animals were sacrificed at the same time after treatment and 5 ml blood was collected from heart. Serum was collected from blood and stored at -80 ºC for different biochemical assays. Body weights of all animals were recorded before sacrifice. Animals were sacrificed by anesthetic ether and cervical dislocation. Different organs were dissected from the animals and were weighed separately. Coefficients of liver, kidney and spleen to body weight were calculated as per the ratio of tissue's weight (mg) to body weight (gm). ROS assay was performed according to the method of Hayashi et al 1968, 5 μl of serum sample was added to 140 μl of pre warmed (40 ºC) 0.1M sodium acetate buffer (pH 4.8) in one well of a 96-well (microtiter plate). Mixture of (100 μl) of DEPPD (100 μg/ml DEPPD was dissolved in 0.1M sodium acetate buffer, (pH 4.8) and ferrous sulfate [ferrous sulfate (4.37 μM) was dissolved in 0.1M sodium acetate buffer, pH 4.8] was added in each well to initiate reaction. After 5 min incubation absorbance was measured using a Spectra Max M2 spectrophotometer plate reader, at 505 nm. ROS levels in serum were calculated from the calibration curve of H2O2 and expressed as equivalent to levels of hydrogen peroxide (1 unit = 1.0 mg H2O2 /l). Calibration curve for the standard solution was obtained by calculating slopes from optical density graph. Total protein was assayed by Bradford method . For each sample, 200 μl of the serum was mixed in 800 μl of Bradford reagent. Optical density (at 595 nm) was measured after 10 min of incubation in the dark. BSA was used as a standard protein. Optical density was obtained by spectrophotometer (Erba CHEM-5Plus v2). Serum catalase activity was determined by measuring the decrease in absorbance at 240nm due to the decomposition of H2O2 in a UV recording spectrophotometer. The reaction mixture (3 ml) contained 0.1 ml of serum in phosphate buffer (50 mM, pH 7.0) and 2.9 ml of 30 mM H2O2 in phosphate buffer pH 7.0. The specific activity of catalase was expressed as moles of H2O2 reduced per minute per mg protein. The reaction mixture (3 ml) contained 2.95 ml 0.05 M sodium carbonate buffer pH 10.2, 0.02 ml of serum and 0.03 ml of epinephrine in 0.005 N HCL was used to initiate the reaction. The reference cuvette contained 2.95 ml buffer, 0.03 ml of substrate (epinephrine) and 0.02 ml of water. Enzyme activity was calculated by measuring the change in absorbance at 480 nm for 5 min. 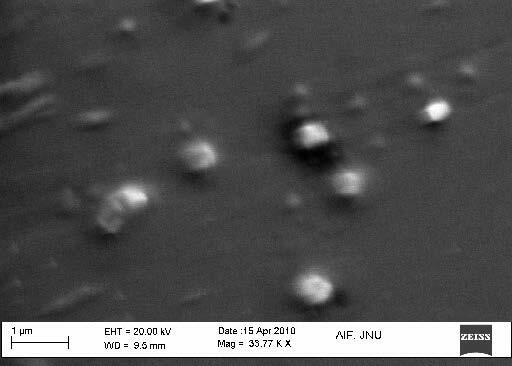 The size of the TiO2 nanoparticles (TNPs) was determined by transmission electron microscopy (TEM, JEOL-JEM-2100F). Figure 1 shows the typical TEM images of TNPs, from which it was observed that the TNPs had an average diameter of 5-20 nm. Clustering of NPs was also observed from the images. 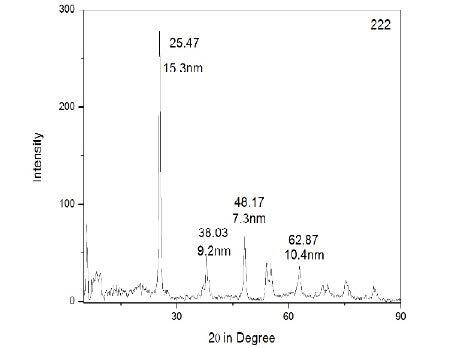 The wide-angle region of the X-ray diffraction (XRD, PANalytical X'pert PRO) patterns exhibited a high-intensity diffraction peak at 2θ = 25.47º and three additional peaks at 2θ = 38.0º, 48.17º and 68.8º (Figure 2) with the respective size 15.3, 9.2, 7.3 and 10.4 nm. Size of TNPs calculated by XRD and TEM was (5±1-16±1 nm) (Figure 2).The morphologies of the TNPs were observed via scanning electron microscopy (SEM, ZEISS EVO 40). As shown in Figure 3 nanoparticles were found in aggregate form, in this case the morphologies of TiO2 nano could not clearly observed. The average diameter of the TiO2 in SEM was 17±2 nm, which was in agreement with TEM images. Coefficients of the liver, kidney, spleen and brain of animal treated with lower dose (5 mg/kg) of TNPs there were no significant changes except liver. Whereas animals treated with higher dose (50 mg/kg) of TNPs, the net increase in body weight were significantly reduced (p<0.05) and coefficients of the liver, kidney and spleen were significantly (p<0.05) increased, which suggested that higher dose of TNPs might cause the damage of the organs of rat. There were no significant (p>0.05) changes observed in Coefficient of brain in all treatment groups (Figure 4). Oxidative stress is a key factor in the genotoxic studies. 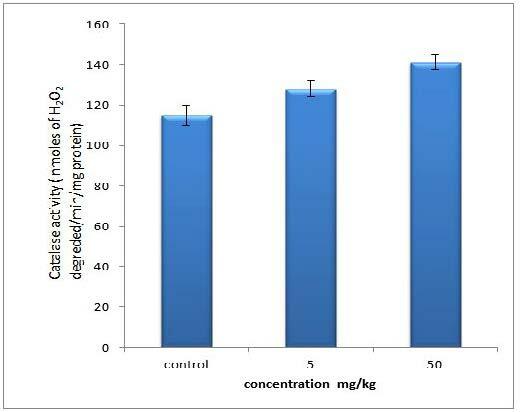 Oxidative stress was measured by DEPPD (N, N-diethyl-para-phenydiamine) sulphate staining. 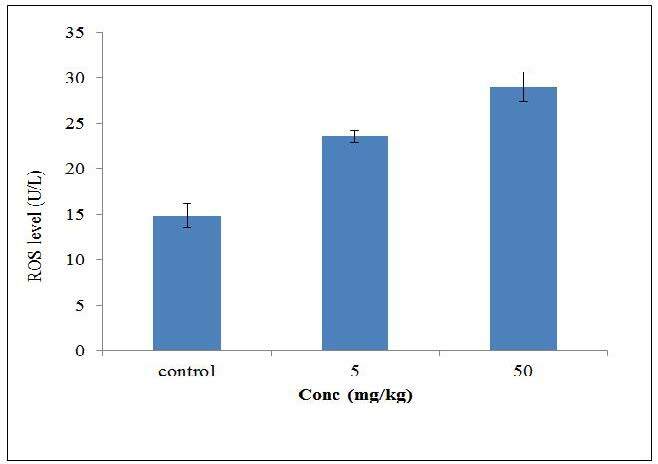 It was found that level of total reactive oxygen species increased significantly (p<0.01) with respect to the low to high dose of nano anatase TiO2 (50 mg/kg BW) (Figure 5). Higher concentration of reactive oxygen species may be responsible for DNA damage and tissues injuries. 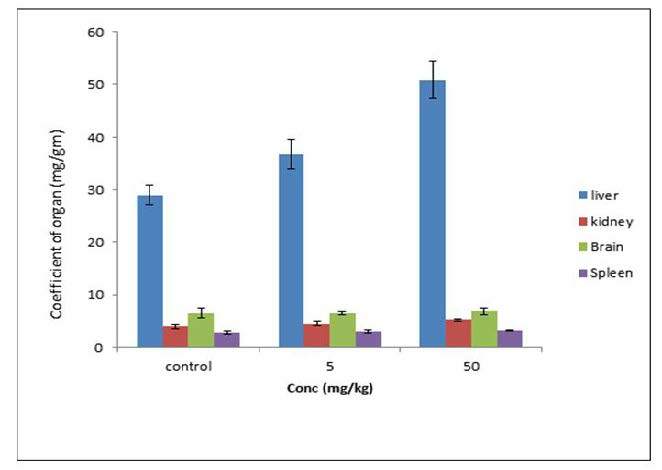 There was a singnificial increase in the serum protein with 5 mg/kg and 50 mg/kg nano TiO2 (Figure 6). Catalase activity was significantly decreased (p<0.05) in rats treated with TiO2 .However, this depressed activity was more significant in 50 mg/kg than 5mg/kg (Figure 7). 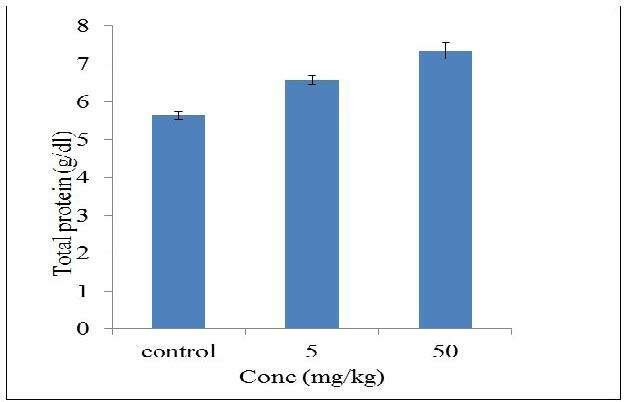 Results show a significant increase (p<0.05) SOD activity of serum rats treated with 5 mg/kg and 50 mg/kg as compared to the untreated rats. This increase was more significant (p<0.05) in 50 mg /kg treated animal than 5 mg/kg treated animal (Figure 8). I would like to express my deepest appreciation to Principal who provided me the possibility to do research work. A special gratitude I give to our PI Dr. T.K. Sharma whose contribution in stimulating suggestions and encouragement, helped me to coordinate my project especially in writing and experimenting this paper. 1Yamauchi R, Morita A, Tsuji T (2000) Pacemaker dermatitis from titanium Contact Dermatitis 42: 52–3. 2 ROS level determination by hayashi method 1968. 3 Tschernitschek H, Borchers L, Geurtsen W (2005) Nonalloyed titanium as a bioinert metal–a review. Quintessence Int 36: 523–30. 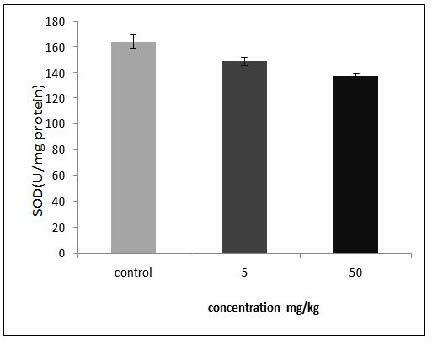 4 Olmedo DG, Tasat DR, Guglielmotti MB (2005) Effect of titanium dioxide on the oxidative metabolism of alveolar macrophages: An experimental study in rats. J Biomed Mater Res 73: 142–9. 5 EU - European Commission Recommendation on the definition of nanomaterial. 6 Riu J, Maroto A, Rius FX (2006) Nanosensors in environmental analysis. Talanta 69: 288-301. 7 Magaye R, Bowman L, Ding M (2012) Genotoxicity and carcinogenicity of cobalt-, nickel- and copper-based nanoparticles (Review). Exp Ther Med, 4: 551-61. 8 American Conference of Governmental Industrial Hygienists (1992) (ACGIH): Threshold limit values and biological exposure indices for 1992–1993. Cincinnati: Ohio: American Conference of Governmental industrial hygienists. 9 Participants IRSIW (2000) The relevance of the rat lung response to particle overload for human risk assessment: a workshop consensus report. Inhal Toxicol 12: 1-17. 10Zhao J, Bowman L, Zhang X, Vallyathan V, Young SH (2009) Titanium dioxide (TiO2) nanoparticles induces JB6 cell apoptosis through activation of the caspase- 8/Bid and mitochondrial pathways. J Toxicol Environ Health A 72: 1141-9. 11 Oberdorster G, Ferin J, Lehnert BE (1994) Correlation between particle size, in vivo particle persistence, and lung injury. Environ Health Perspect, 102:173-9. 12Sager TM, Kommineni C, Castranova V (2008) Pulmonary response to intratracheal instillation of ultrafine versus fine titanium dioxide: role of particle surface area. Part Fibre Toxicol 5: 17. 13 Bradford MM (1976) A rapid and sensitive for the quantization of microgram quantities of protein utilizing the principle of protein-dye binding. Analytical Biochemistry 72: 248-54. Figure 4: Coefficient of organs of rat treated with TiO2 (liver, kidney, spleen, brain). Coefficient of organs is the ratio of weight of the organs (mg) to animal body weight (gm). Legend indicates the types of organs. ** denotes statically significant result at a=0.01. Statistical analysis was performed with a two-sample t-test, unknown and unequal variances, comparing each sample group to the related control group.